Disabled Accessible Holidays in Wales at their very best! 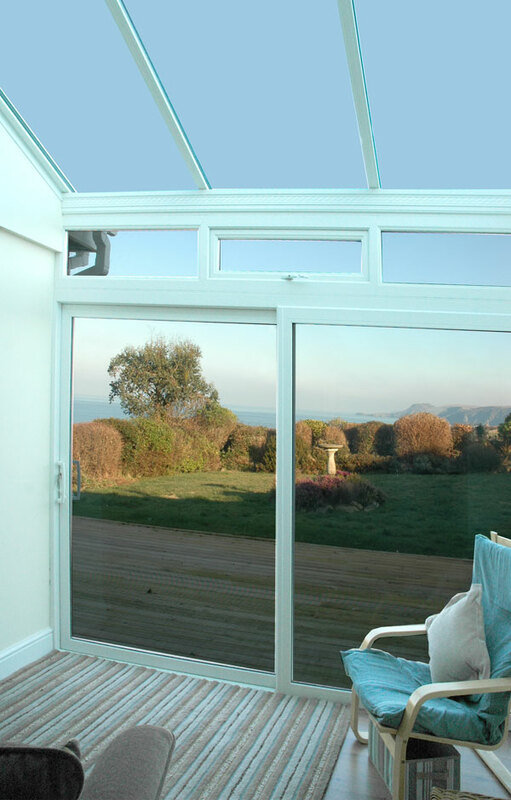 Safe Haven is a completely refurbished holiday bungalow in the pretty seaside village of Aberporth in West Wales. 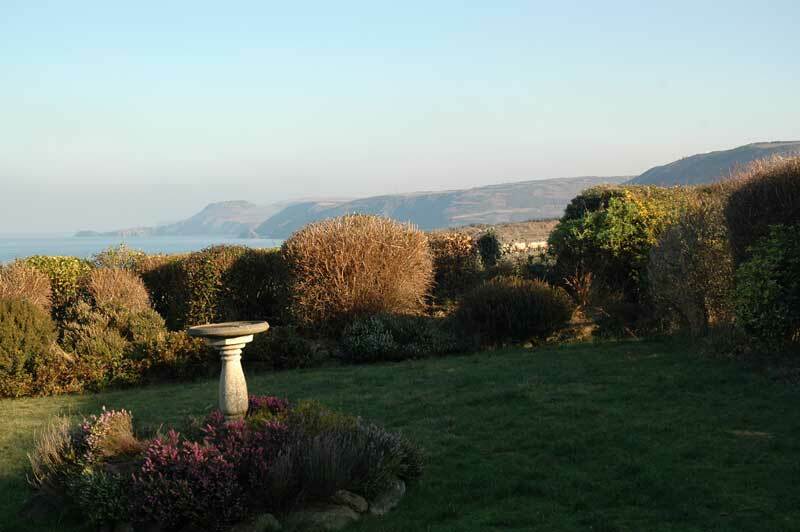 This holiday home was completely redesigned in 2008, specifically to provide disabled accessible holidays in Wales, enabling guests to enjoy the tranquil and beautiful area. Tastefully decorated throughout, providing high quality accommodation for disabled visitors using wheelchairs and those with limited mobility. Not a step in the whole place! It is the perfect place for those looking for comfortable disabled accessible holiday accommodation in Wales. 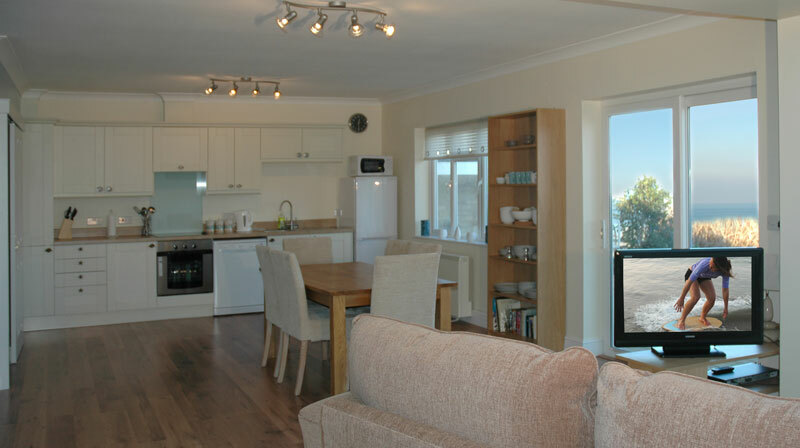 The beautiful sea views from the luxurious living area and from the lovely garden and deck areas of the holiday accommodation are breathtaking and any holiday spent at Safe Haven will prove good for the soul! We are only a few minutes walk away from sandy beaches and the fabulous Ceredigion coastal path, both with disabled access. A long section of the path at Aberporth has been tarmacked to provide even better access for wheelchair users and the views from the clifftop are truly inspiring. You can see Tresaith, Llangrannog and Penbryn clearly from here. These beaches have been awarded Blue Flags for the last few years. The centre of the village of Aberporth is a short walk away; amenities include a general stores, Post Office, hairdresser, launderette, ironmongers, chemist and café. A good Chinese takeaway, a pub and other eateries are within easy walking distance as well as a church and a chapel with regular Sunday services. 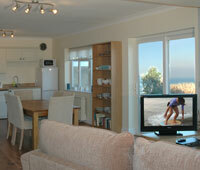 Safe Haven Disabled Holiday Home, Aberporth, Ceredigion, West Wales, UK.